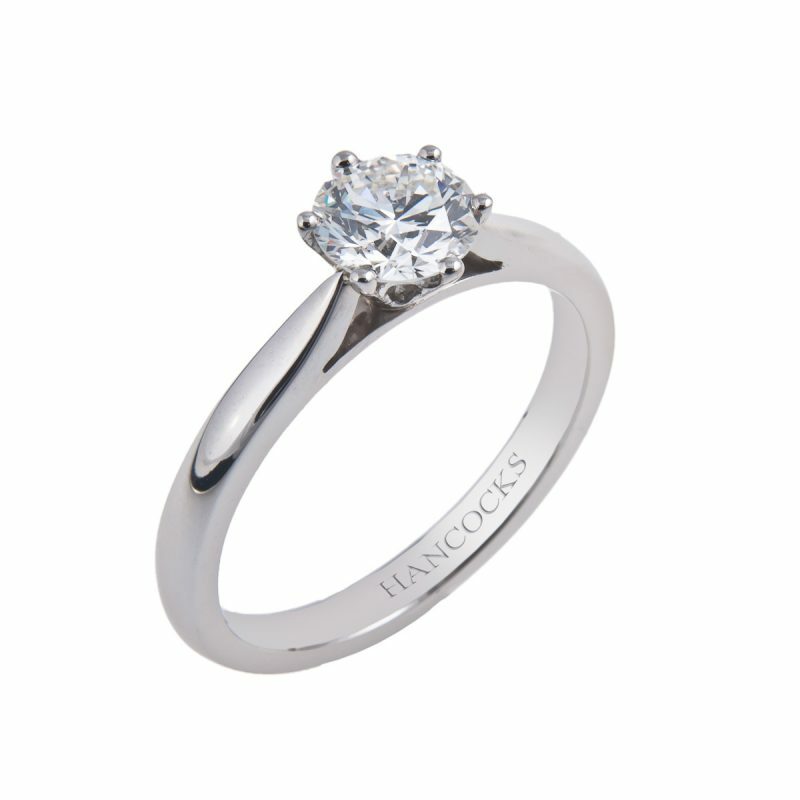 Show your love of diamonds with this breathtaking 0.53ct brilliant cut diamond single stone ring. 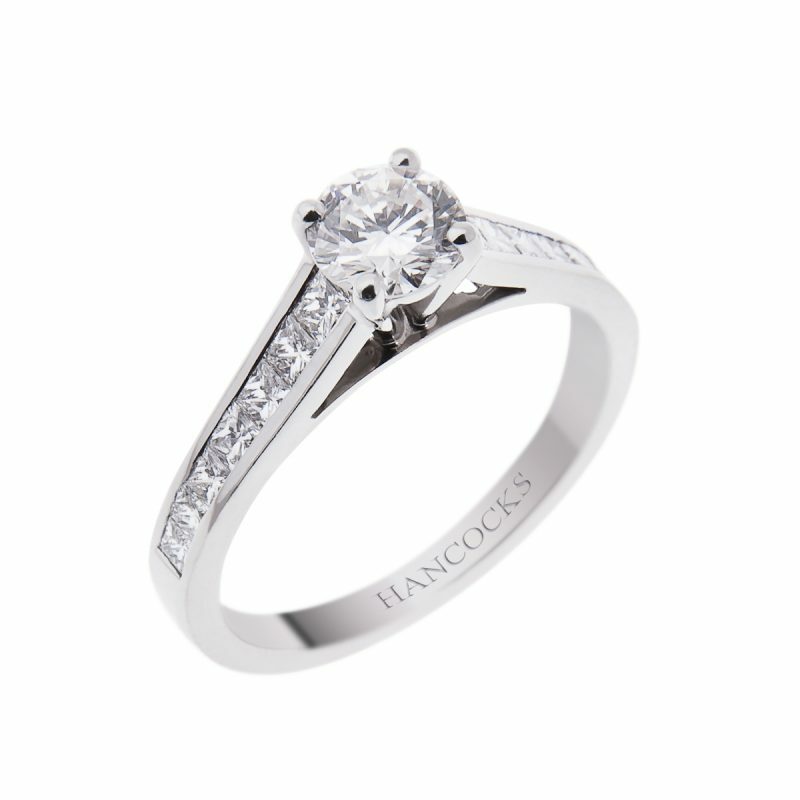 Mounted in a 4-claw platinum setting that lets the natural beauty of the diamond shine through. 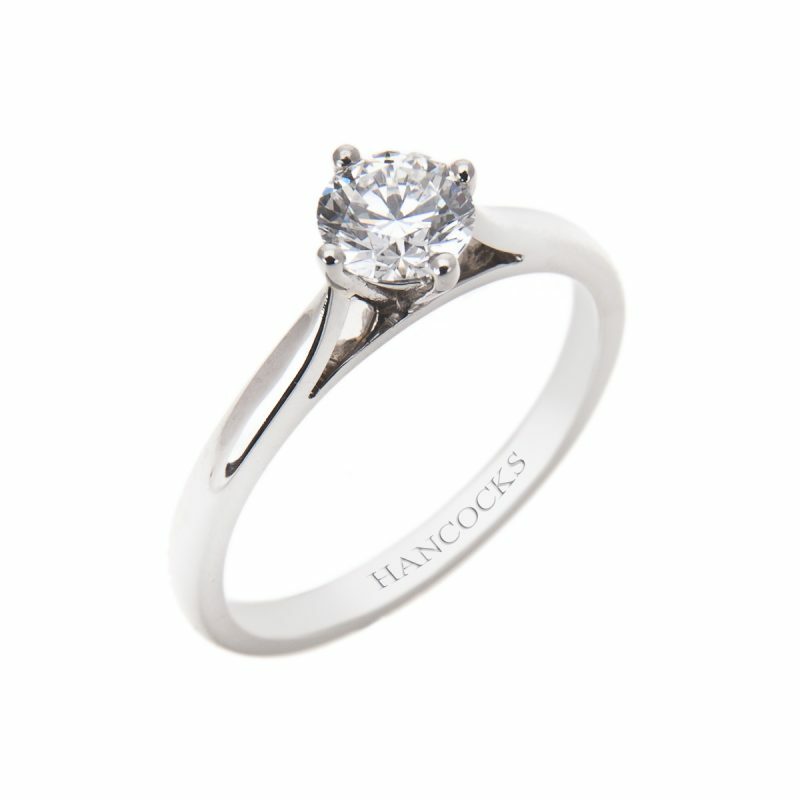 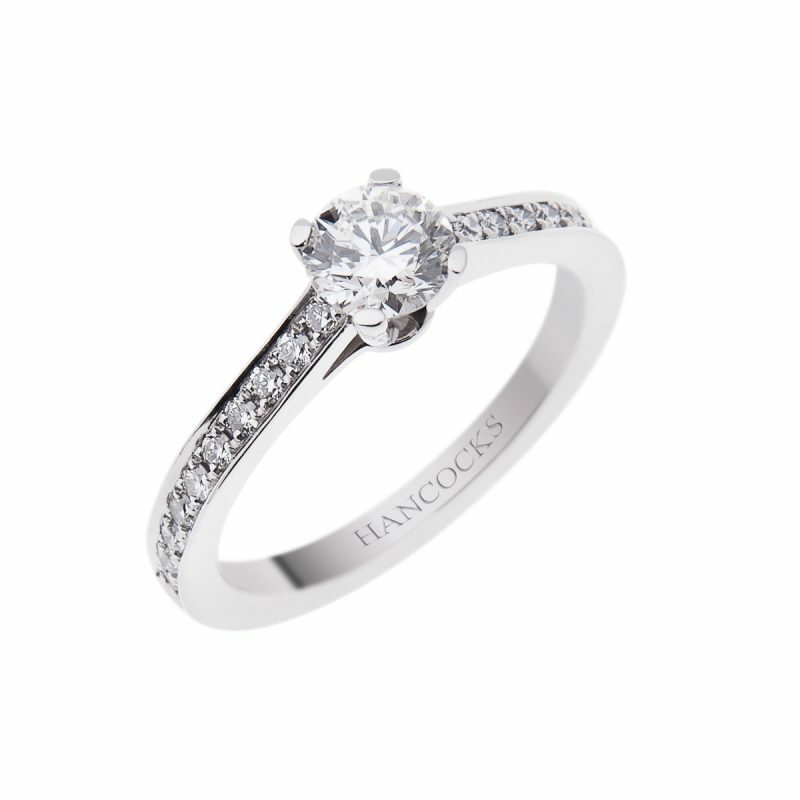 Hancocks have chosen to mount this half carat brilliant cut diamond with princess cut diamond shoulders to create a unique and elegant ring that is sure to impress.